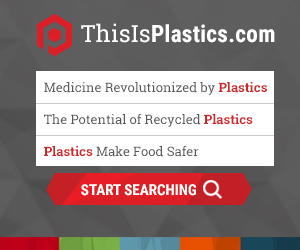 The Plastics Industry Association (PLASTICS) Committee on Equipment Statistics (CES) tracks and reports new orders and shipments of plastics machinery on a monthly and quarterly basis. Based on data submitted by suppliers of injection molding machines, extruders, blow molding machines, auxiliary equipment and hot runners, participants can benchmark their operations with current market information on equipment orders and shipments for all major machinery sectors. These statistical reports give CES participants member-exclusive information that depicts a substantial percentage of the entire North American plastics machinery market, and serve as an important economic bellwether for the entire plastics industry. The CES program provides superior market information by using actual data submitted by participating companies. All data is thoroughly reviewed prior to publication. The CES program is conducted by Vault Consulting, an independent third-party fiduciary. Participants submit data through a secure web-based statistical database. Only Vault has access to individual company data and disclosure rules are in place to protect the confidentiality of each individual company in the published industry reports. In addition to the industry reports, CES members have access to a quarterly Cross Sector Analysis (CSA) report that correlates CES data with general macroeconomic data. The CSA enables companies to gain a deeper understanding of the economic activity in the machinery and equipment market.